New iPhones have just come out, and we already think what new it may bring. For most of us, changing a wallpaper is a fresh start, and what can make us feel better is a set of new apps that we can get our iPhones stuffed with. Since Apple released iOS 10, you can remove most built-in apps and replace them with the ones providing the same set of functions but are more appealing. I personally use Evernote instead of Notes, Accuweather instead of Weather, and Chrome instead of Safari. The main question is what to do with Music? Leave it and subscribe to Apple Music or to find a replacement? As with the rest of built-in apps, I suggest you choose an alternative and consider the audio player for iOS that I'm going to tell you about. I singe out two reasons myself - sound quality and unfriendly UX. Apple Music streams at 256 kbps AAC, which is a standard lossy audio format. To understand what's wrong with it, read my article on Lossy﻿ vs. Lossless. Regarding the interface, it's extremely inconvenient because your screen's space is wasted on huge letters and album covers. You constantly need to scroll, scroll, scroll and it's freaking annoying. For me, it's pretty much enough to stop using any app, and especially an audio player. So what alternative is there? 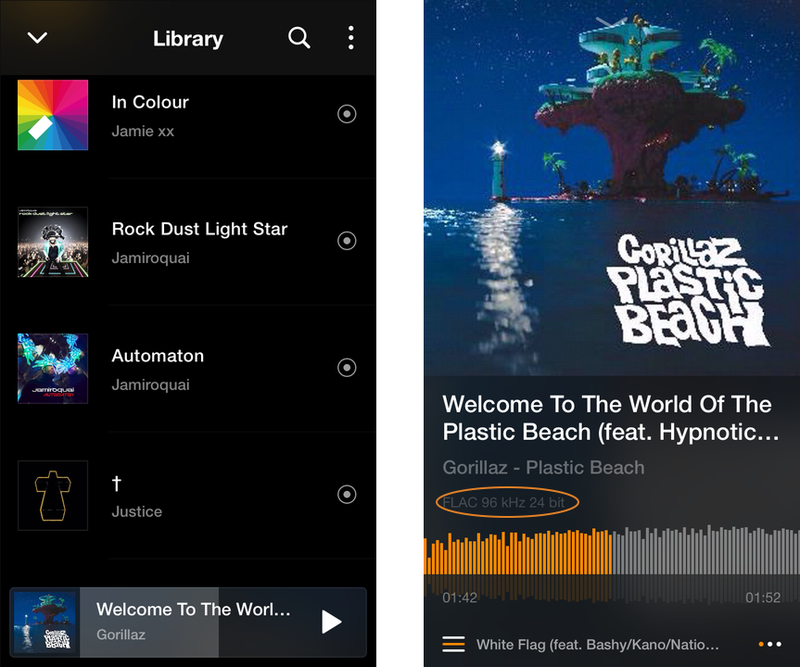 VOX Music Player for iOS is an audio player that combines simple and intuitive design, has a powerful audio engine, includes lots of advanced audio features and gives access to a cloud storage. First, you need to understand that VOX isn't a streaming service, it's a player. Your library mostly consists of your music, but you can also integrate with other apps, like SoundCloud and Spotify. More on that below. Let's take a look at what VOX for iOS has to offer. The interface is a classy combination of minimalism and functionality, and it won't make you google 'How to...?' questions. VOX lets you view your music in two ways: Grid view and List view. Both are convenient, but I prefer List. The playback menu includes all you need without any undue buttons. That's the best part. VOX is one of few audio players for iOS that support Hi-Res audio files. You can listen to FLAC and WAV and even PCM without compression of the sound. That's what VOX is all about, the quality. You might not even know what you're losing when you're listening to lossy audio formats like MP3, AAC, or OGG. VOX provides the best audio quality which you can adjust using the advanced audio setting. Convert Stereo to Multiple Channels. Learn How﻿ To Use Sound Booster in VOX. To start off, there's an Equalizer that even kids can manage. You can either adjust it according to your listening preferences or choose among built-in presets. Anyway, you will feel that even the most familiar songs can sound better. 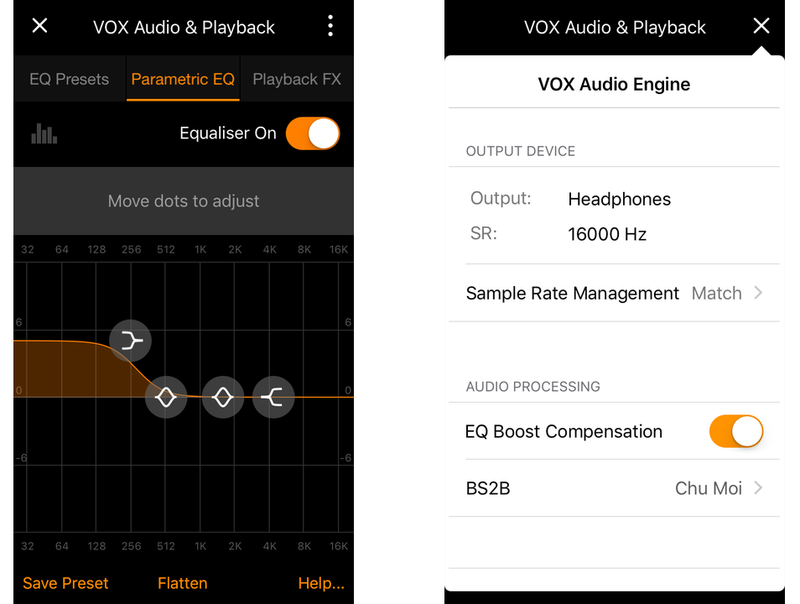 Read my complete guide on how﻿ to use VOX Equalizer? VOX Player for iOS gives you access to over 30,000 radio stations from all over the world. They include both the hip ones, like KEXP and BBC Music 1 as well as the local ones. Not many iOS audio players can say that. 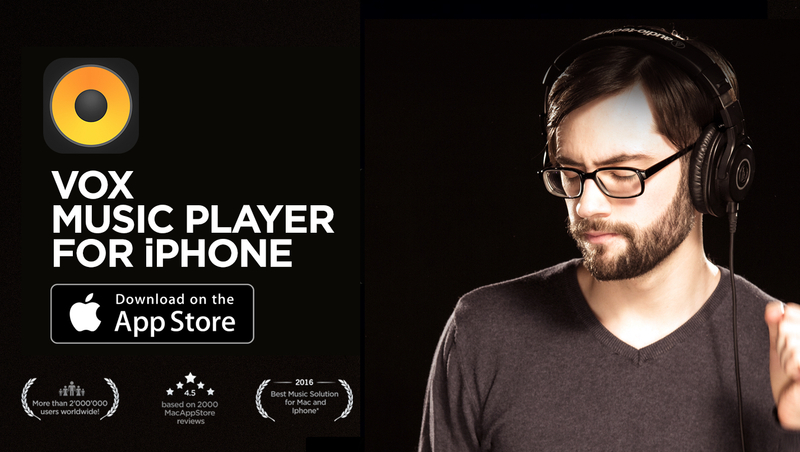 This is a real game-changer in the world of digital music. Imagine an unlimited music cloud that lets you upload and stream all audio formats, even Hi-Res ones, without conversion to MP3 or sound compression. Imagine no more, because it's here. VOX Cloud is the official music storage for VOX Music Player for iOS. As you might know, Hi-Res files usually take up lots of iPhone storage (a track can be over 200 MB). Simple calculations show that it's impossible to have a decent high-quality music collection on iPhone. That's why there's VOX Cloud. You got it right; it has no limits. You can upload a thousand, tens of thousands, a billion of Hi-Res songs with the total of 50 TB. VOX Cloud doesn't convert Hi-Res files, the quality remains the same. When you are tired of your local music library, you can sign up to SoundCloud (Spotify, Last.fm) to add some music from those services to your VOX playlists. You no longer need to switch between the apps. Also, Last.fm scrobbling allows you to keep you listening stats up-to-date. Although there are so many audio players for iOS, it's really difficult to pick one among thousands. I suggest you try VOX Music Player for iOS for new, improved listening experience. VOX for iPhone features everything you'd expect from a professional sound system, except that VOX is always with you. Unobtrusive design, easy-to-use interface, many audio setting and VOX Music Cloud Storage prove VOX to be the best audio player for iOS. Get the answer: Which iPhone car music player to choose? Wondering how to uninstall iTunes? We’ve got a couple of options for you!